Weird Wonderful Web: Human Baby Used As Duster! 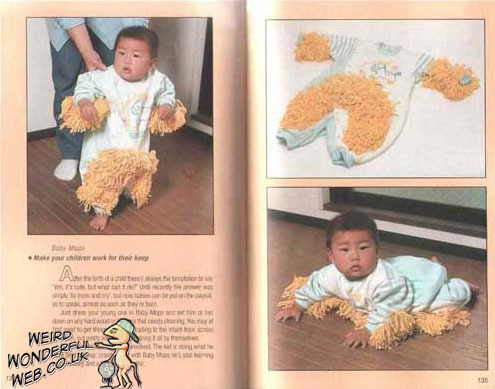 Human baby used as eco-friendly cleaning instrument. Kids these days don't know the meaning of hard work! The only way to reverse this trend is to teach and instil in them work ethics from a very early age. Make them earn their keep. The parents of the child in the image above clearly want to waste no time getting started.